A great piece of kit – especially for temporary works in open spaces where there is no overhead facility. 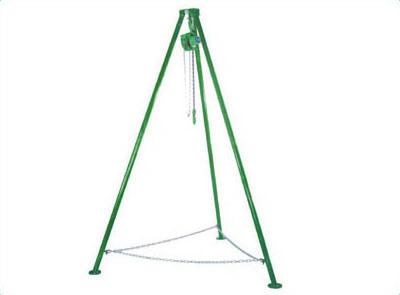 Easy to erect and simple to operate but generally for the lighter load. • What size of span do you need? • What height under the beam do you need? • Do you require Slungs and Shackles?